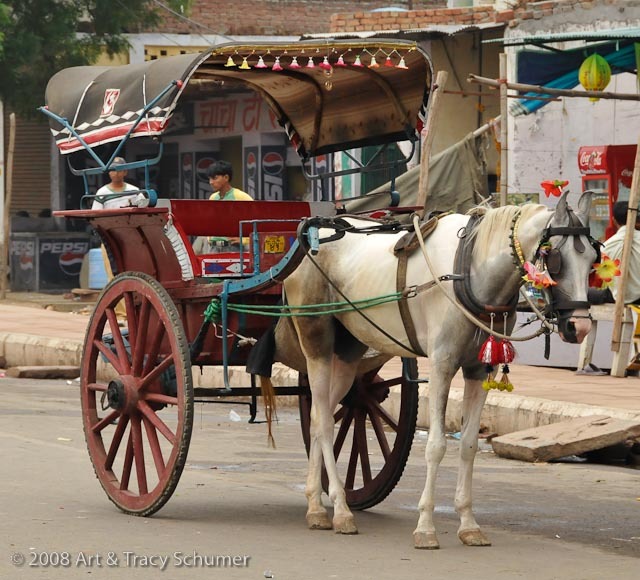 To horses that is… In my travels I often come across interesting tidbits, artifacts and pieces of information. The kinds of things most people acknowledge only in passing; a glance and a nod and whatever it was is soon forgotten. Perhaps it’s simply my nature as a journalist but I try always to pay attention. When something particularly captivating comes into view, I hold onto it somehow; whether it’s good or bad. Sometimes the bad has more informational value. Case in point is the ubiquitous snaffle bit. 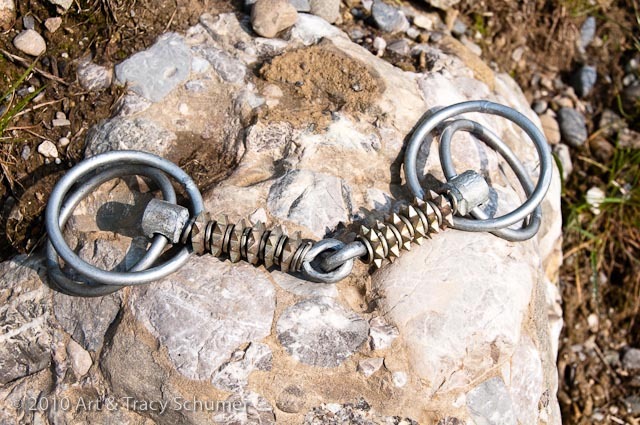 Archeologists have unearthed bronze snaffle bits that date as far back as 3000BC. It’s still the most common form of bit design used today and variations of the basic design seem endless. An acquaintance showed me one the other day and I couldn’t pass up the opportunity to photograph it. Anyone who thinks a Spade bit is cruel ought to take a close look at this saw-toothed torture device. This bit was clearly designed to inflict pain. This rather wicked variation of a standard carriage driving bit called a “double ring snaffle” or Wilson Snaffle, really caused a stir when it was passed around as a conversation piece recently. I don’t think anyone had seen such a thing! I didn’t believe I had either until something about the way it was made jogged my memory. Then it was mentioned that this bit came from India- aha! I knew I had seen something like this before. I went through our photo archive and found some photos from a trip we made a couple of years ago. Sure enough, a few shots I’d taken of carriage horses resting outside the gates of the Taj Mahal show a similar design. 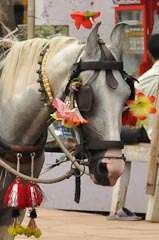 As a side note, the horse in the photo is an ancient breed common in India called a Marwari. Their distinctive ears are a trademark of this elegant horse. There is a long and noble tradition of horsemanship in India, just because someone came up with a cruel bit design doesn’t mean everyone in India uses it. “Good” bit designs can also be used to inflict pain- I would generally say that ultimately, the severity of any bit design rests in the hands of the rider but in this case, this bit is so severe as to cause pain by simply resting in a horse’s mouth. Comments for "The Things We Do"
When I am reminded of how man, through the years, has mistreated the horse, I use that reminder when I next ride my horse to keep my own self in line. None of us are immune from our cruelties. We are man. We can only adjust and readjust, and try harder each ride. Thank you, again, kind horse, for your forgiveness and generosity. Caroline Moorey on October 28, 2010 Please see our Bit Donation Scheme where we collect unused or unwanted snaffle bits in UK and take them to India and give out at the horse fairs. The spiked bit in your article is unfortunatlely common in india but it is a lack of availablitlity in rural India of the kinder snaffles, thus we are trying to remedy this – please see our website: www.friendsofmarwari.org.uk and our Bit Donation Scheme. If you can’t donate a bit then please make a monetary donation securely through our Do Your Bit donation scheme.